Serbian spruce on my terrace. A new purchase. There's not much around at this time of year. 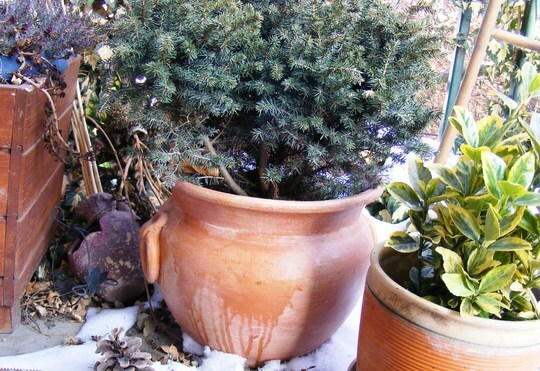 Good hardy plant -and a great pot! I'm trying to build up more evergreens, too. Love Picea omorika. I only have 'Pimoko'. Yours looks like its a 'Nana' but can't really be sure. See who else is growing Picea omorika (Serbian spruce). See who else has plants in genus Picea.